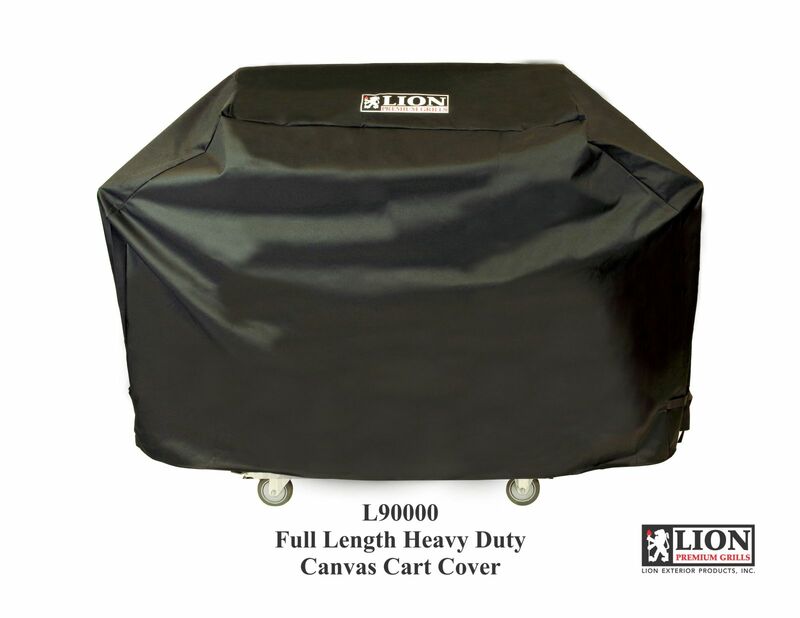 The Lion Black BBQ Grill Cart Cover for L90000 Grill provides protection for your new BBQ grill and cart! This heavy duty black fabric cover helps to keep your grill's and cart's quality at top notch. Keeping debris and rust away from the grill, this cover is perfect for your backyard. Every type of precipitation or debris can eventually be harmful to your grill. Use this cover to help protect it from any wear and tear that appears on it's surface.